It was just one year ago that Louis Riel’s portrait was finally hung alongside those of Manitoba’s other premiers in the halls of Winnipeg’s Legislative Buildings. Although never premier, as President of the Legislative Assembly of Assiniboia he helped pave the way for Manitoba to enter Confederation—ironic given his subsequent execution for treason by the same Ottawa government determined to unite Canada at any cost. 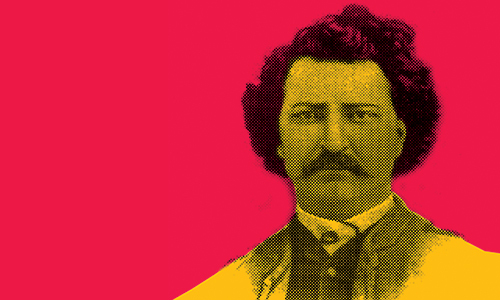 Manitoba’s small but significant acknowledgement of Riel’s key role was long overdue, but is the type of historical realignment that also informs director Peter Hinton’s new COC production of Louis Riel. On April 19, 2017, the Canadian Opera Company is hosting a closed meeting at the Four Seasons Centre for the Performing Arts, organized by Dr. Dylan Robinson of Queen’s University, to discuss First Nations song protocol and the use of Indigenous songs in Canadian compositions, such as Harry Somers’ Louis Riel. 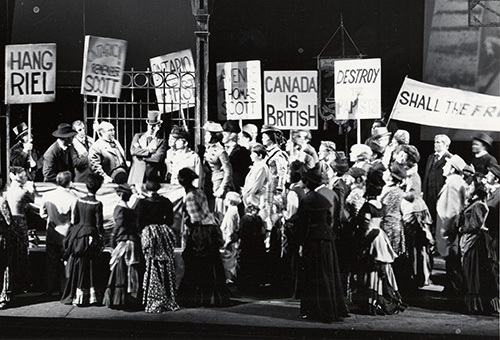 During the summer of 2016, the COC’s Director of Public Relations, Claudine Domingue, spoke with singers and creative team members who were part of the original 1967 production of Louis Riel. Sadly, Bernard Turgeon, who originated the role of Louis Riel, passed away in October 2016, just a few short months after this interview took place. We are grateful that his memories of this iconic Canadian work, along with those of the rest of these great artists, have been preserved and are now being shared with a new generation of Louis Riel audiences.